There are many moments in life when you desire to endow your loved ones with special and memorable gifts. What can be a better gift than flowers? 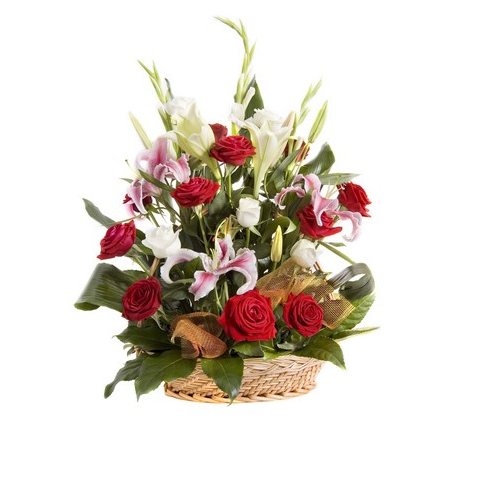 This perfect arrangement of 16 enthralling Red Roses and White lilies will charm your loved ones with your affection. Flaberry support responded quickly to my queries and the flower basket was delivered on time and the flowers were fresh.